Then the LORD God planted a garden in Eden toward the East; and there He placed the man whom He had formed. planted: in biblical times in the ANE farming was widely practiced and the occurrence of various forms of this verb (וַיִּטַּע – vayita`) occur over 100 times. Because the act of planting was so familiar, this action was commonly used figuratively (e.g., God “plants” Israel – 2 Sam 7:10; 1 Chr 17:9). 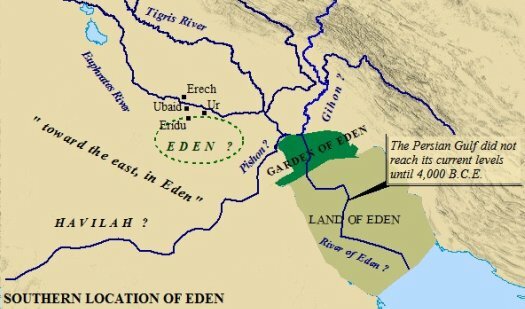 Garden of Eden: in Hebrew the Garden of Eden is translated from גַּן־בְעֵדֶן (gan-vəeiden) and literally means enclosure-within-Eden. Note that the word gan derives from the Hebrew verb ganan meaning to defend or protect. In the context of the ANE, such enclosures are meant to keep out animals who might otherwise destroy the crops contained within. Moreover, given the climate, the crops within the gan were often irrigated (Isaiah 58:11) lending additional contextual support for verses 5-7 in which the man was created because cultivated plants needed irrigation. From a literary point of view, it is not clear that the divine author views the Garden as the center of God’s creation. For example, in verses 5-7 we learn that the author described two types of plants – plants only needing water (wild plants) and plants requiring both water and a cultivator (crops such as grain, vegetables, and flowers). To solve this problem, the author describes God as bringing rain clouds to nurture the wild plants and man to irrigate the cultivated plants. The bringing of rain and the formation of man were events occurring before the existence of the Garden. and there He placed the man whom He had formed: note here that the man was created before the Garden. Why? Taken on its face, the text of Genesis 2 reveals that the Garden was the culmination of God’s creative activity. In other words, the Garden required man to tend it, so God created man first. Unlike the first creation story in which man was the culmination of God’s creative activity, the Garden is viewed as God’s ultimate creative goal with man as its keeper. ECURSES: The Garden of Eden is often (always?) viewed as utopia. But, the text of the second creation story does not explicitly support that view. To this point, we learn in verses 2:5-7 that the man was created with the sole and express purpose of cultivating the plants of the Garden. In the ANE, and especially in the highlands of Canaan, gardens and vineyards were necessarily irrigated and the main task of a cultivator in the ANE was to plow soil after the spring rains, create holding ponds to retain the rain water and dig irrigation ditches to bring water from the holding ponds to the plants. The people of the ANE who heard or read this story would have immediately understood, appreciated, and empathized with Adam. 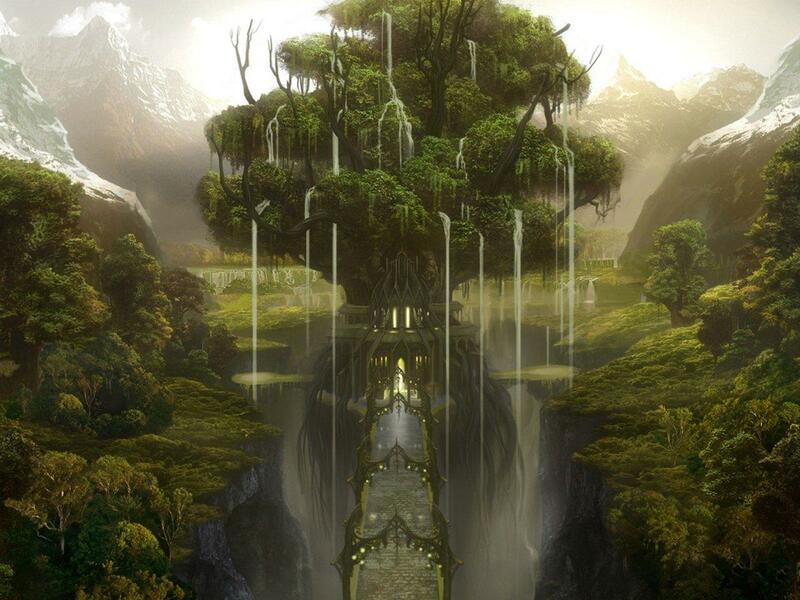 And, since God had already planted the trees, Adam’s only task was to ensure the trees were well watered. As for immortality note that the man was not created immortal. He only became immortal after being transported into the Garden. It’s as though God never intended to replace the man or give him ease. Like farmers since, his work never ended but unlike farmers, he never would grow old and unable to do the work. His existence, from a literal reading of the text, reveal the man to have been fated to be a drudge. Work was his life day-in and day-out: forever and ever. This has some important literary and theological implications. For example, in the narrative, the man is depicted as a simple caretaker able to live in the Garden provided he abide by certain rules (see Gen 2:16-17). Contrast this with the first creation story in which all things, living and inanimate, were to be subject to mankind’s rule (Gen 1:28). In other words, while mankind is secondary only to God in the first creation story, in the second mankind is subordinate to, and servant of, the Garden, God’s dwelling on earth. Historically, this is not without precedent. The most famous and beautiful gardens were those of rulers. In fact, most rulers in the ANE located their residences within elaborate gardens or private parks (2 Kings, 25:4). It should not surprise us to learn that by describing God as walking in the garden, that the author meant to depict God as its king and ruler. From a literary point of view, the Garden, not man, is the initial focus of the story. This focus begins to shift, however, when the author describes the creation of the woman as a necessary (and salvific) counterpart to the man. After the creation of the woman, the couple is portrayed as sexually innocent, unconscious of any sexual identity much like three year old children. But all that is about to change. (8) And-planted, the-LORD God, a-garden-in-Eden from-the-East and-He-placed there the-man which He-formed. And the LORD God planted a garden in Eden toward the East; and there He placed the man which He formed. (kjv) And the LORD God planted a garden eastward in Eden; and there he put the man whom he had formed. (niv) Now the LORD God had planted a garden in the east, in Eden; and there he put the man he had formed. (net) The LORD God planted an orchard in the east, in Eden; and there he placed the man he had formed.